Who was Srinavasa Ramanujan? Why should we be making a film of his short life? It’s something that we are seeing at the moment. films not about super-heroes in capes but scientists. We have seen The Theory of Everything and The Imitation Game that are award winning films about mathematicians. This time it’s about a retentively unknown one. One who is best known for the number of a taxi cab, 1729. Colonial India, 1913. Srinavasa Ramanujan is a 25-year-old shipping clerk and self-taught genius, who failed out of college due to his near-obsessive, solitary study of mathematics. 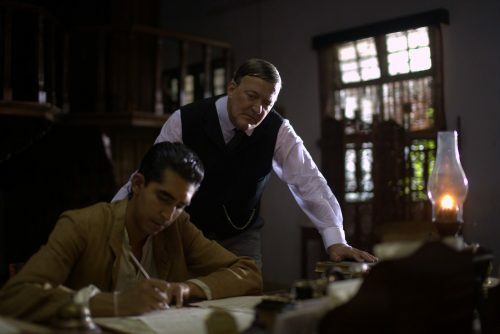 Determined to pursue his passion despite rejection and derision from his peers, Ramanujan writes a letter to G. H. Hardy, an eminent British mathematics professor at Trinity College, Cambridge. Hardy recognizes the originality and brilliance of Ramanujan’s raw talent and despite the skepticism of his colleagues, undertakes bringing him to Cambridge so that his theories can be explored. Ramanujan leaves his family, his community, and his beloved young bride, Janaki, to travel across the world to England. There, he finds understanding and a deep connection with his sophisticated and eccentric mentor. Under Hardy’s guidance, Ramanujan’s work evolves in ways that will revolutionize mathematics and transform how scientists explain the world. Hardy fights tirelessly to get Ramanujan the recognition and respect that he deserves but in reality he is as much an outcast in the traditional culture of Cambridge as he was among his peers in India. But Ramanujan fights illness and intense homesickness to formally prove his theorems so that his work will finally be seen and believed by a mathematical establishment that is not prepared for his unconventional methods. The Man Who Knew Infinity is the improbable true story of a unique genius whose pivotal theories propelled him from obscurity into a world in the midst of war, and how he fought tirelessly to show the world the genius of his mind.